Today I made these beautiful Free Printable Vintage Bridal Shower Invitations, I made PDF templates in which you can easily add your own text and write down the name of the bride to be, name of host and other details like address and RSVP etc. I have also made a matching address label with each invitation. 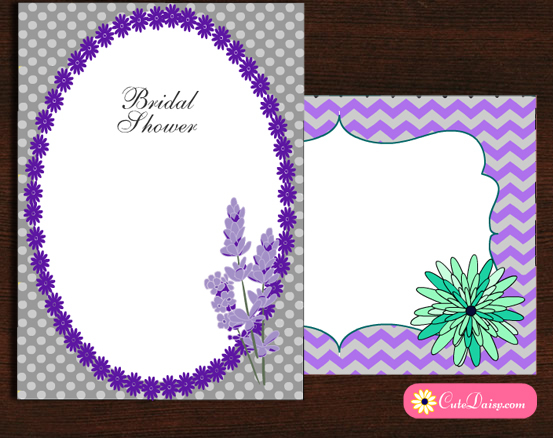 Each invitation is 5″x7″ in size. You can add your text and then print as many copies as you may like on your home printer. 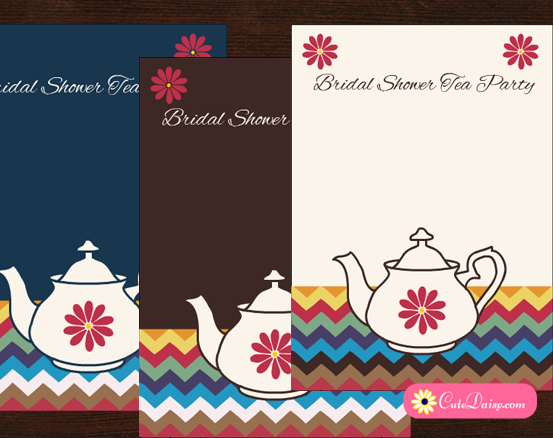 You can use card stock paper or any other paper of your choice. 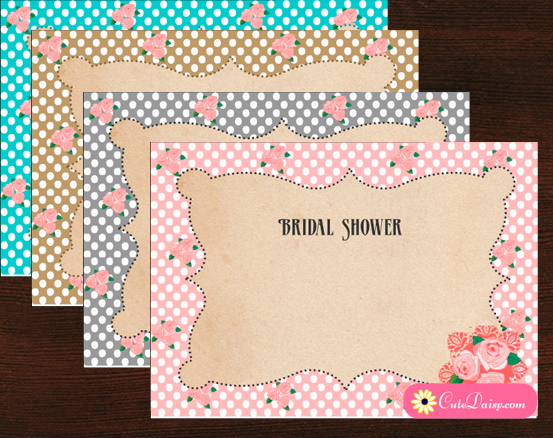 These invitations are free for personal use. If you want to use these commercially, please send me an email. This is a beautiful invitation in aqua color, decorated with beautiful roses. 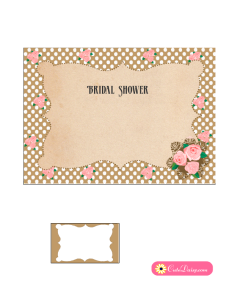 Click here to download the editable PDF file for this invitation. 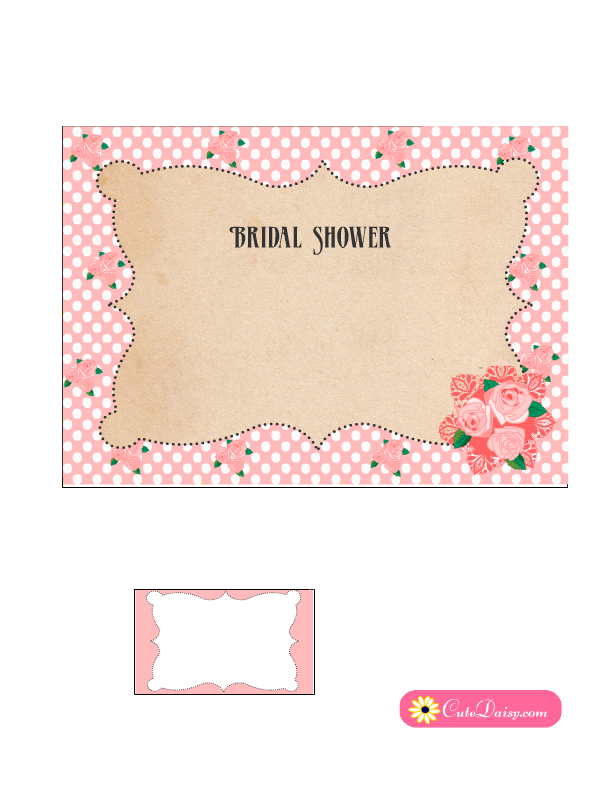 Click here to download this beautiful vintage bridal shower invitation template in pink color. 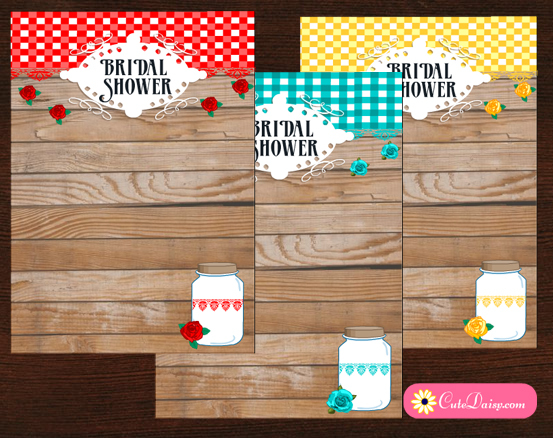 I just love these invitations in every color. 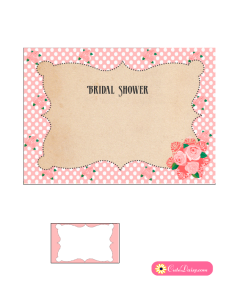 This is another absolutely beautiful color variation for these beautiful Bridal Shower Invitation. Click here to download this amazing invitation in fawn or brown color. This is another absolutely beautiful color combination for this Vintage Bridal Shower invitation. Click here to download the PDF file. I hope that you’ll love all these beautiful color combinations. Please pin this post on Pinterest if possible and also share on Facebook.